This is incredible for anybody who witnessed it. Not so much for the three who got hit with the pitch. 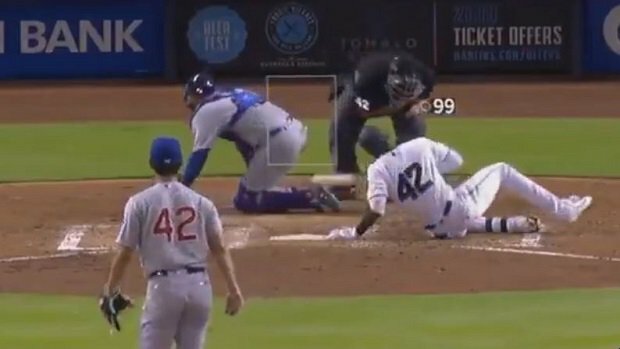 On Monday, pitcher Yu Darvish threw one 99-MPH fastball that had some type of English on it to where it hit the batter, bounced off him, hit the umpire, and then bounced off him to hit the catcher. None of three would have to exit the game. The Chicago Cubs pitcher wasn’t dominant on this day, but he did just enough to get him through a season-high 5 2/3 innings against the Marlins in Miami to register his first win of the season in a 7-2 triumph at Marlins Park.